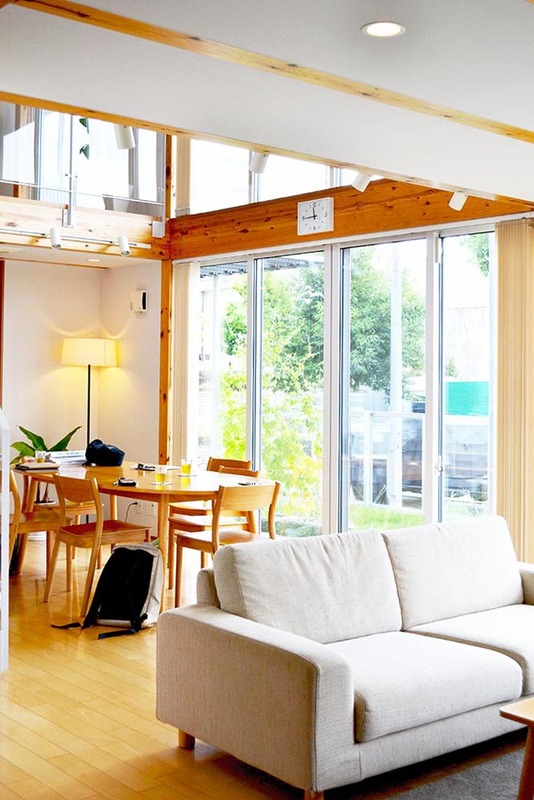 MUJI has been offering homes in Japan since 2004 as an extension to the simple yet inspiring MUJI items that cover pretty much every aspect of living. Pursuing a consistent brand philosophy, the MUJI House is a small but highly edit-able “empty” box. Coming in about 90 ~ 130 square meters, MUJI’s beliefs in small size has existed since the release of their first model, and way before the tiny house movement. 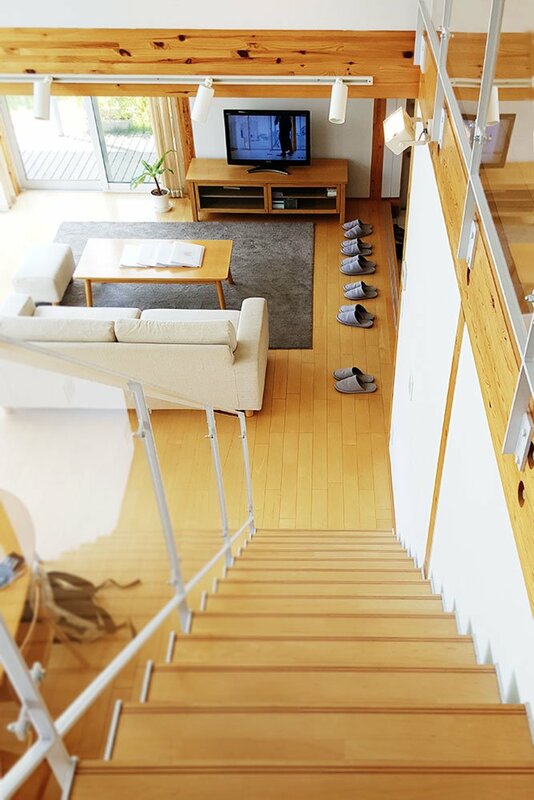 One of the most distinct characteristics of the MUJI House, shared by all three model homes, is the concept of “one-room house,” which means that the entire space is designed like a big, single room. There are no walls to divide rooms, and the floors are connected using double ceilings and high windows. 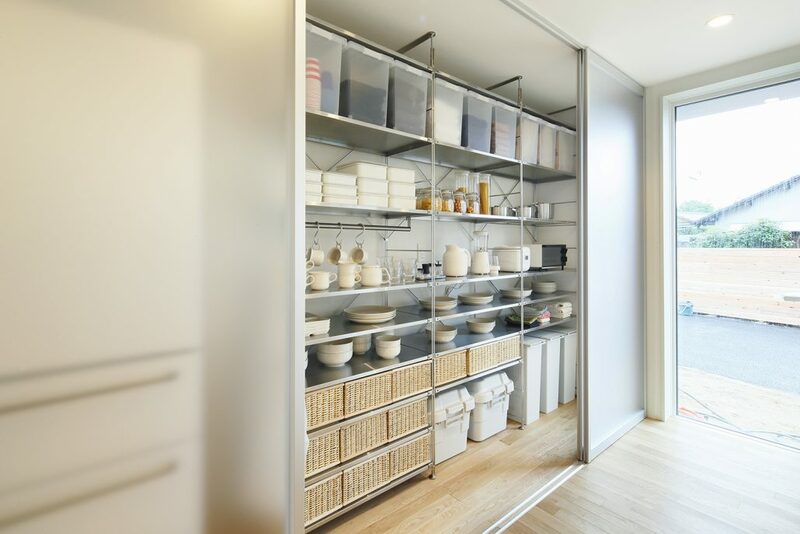 Furniture or partitions can be used as dividers if needed or desired. 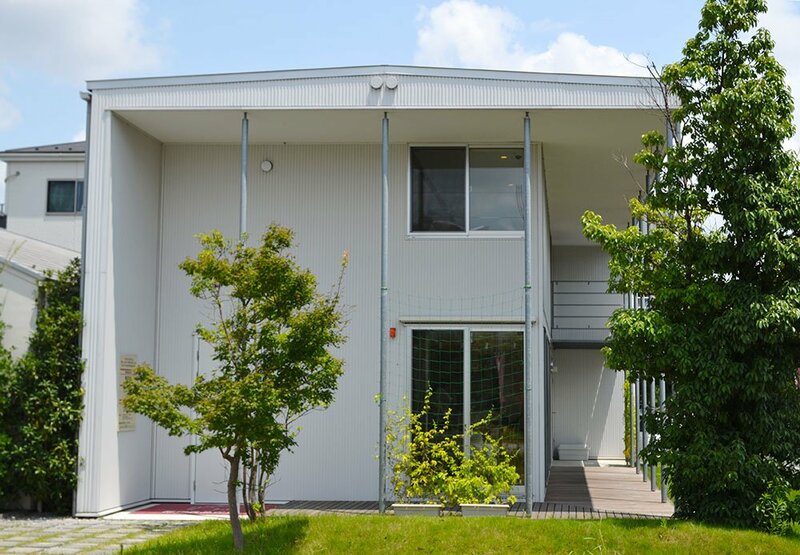 The “Wood House” model home in Kanagawa, Japan. 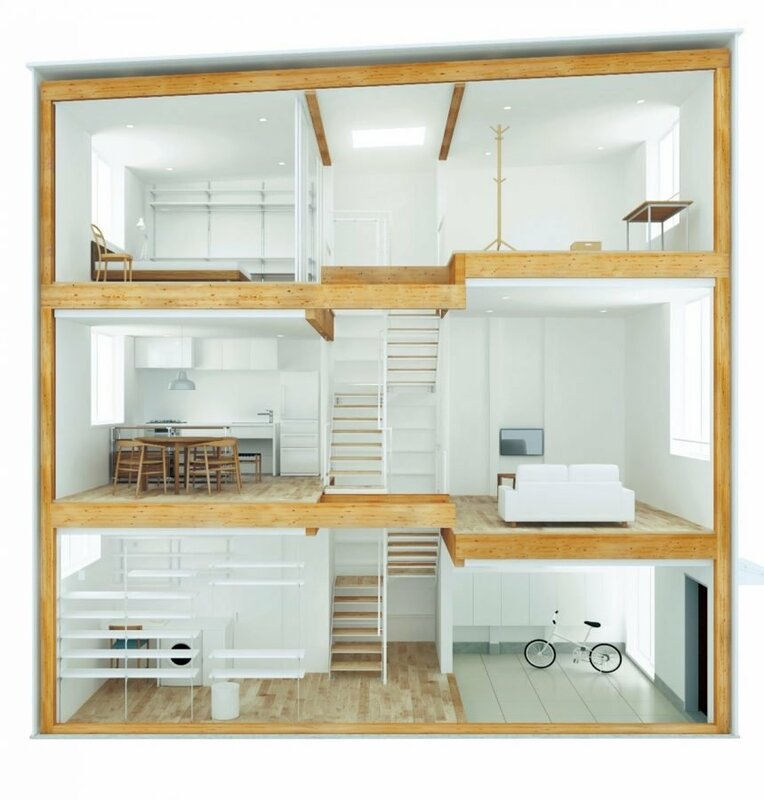 The concept of the “one-room house” comes from the “Series of Box-Houses” designed by architect Kazuhiko Namba, who conceived it in 1995 as a rudimentary, small box with high efficiency that could fit into various urban settings. He imagined that the condensed, no-frills concept of the Box House could be cloned in different places for different owners, accommodating unique surrounding geographical and social environment. 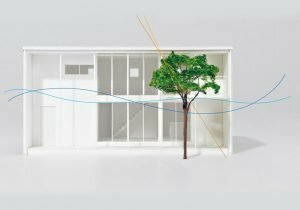 In the meantime, the functionalities embedded in a house could evolve and be enhanced as if the house was a living organism. 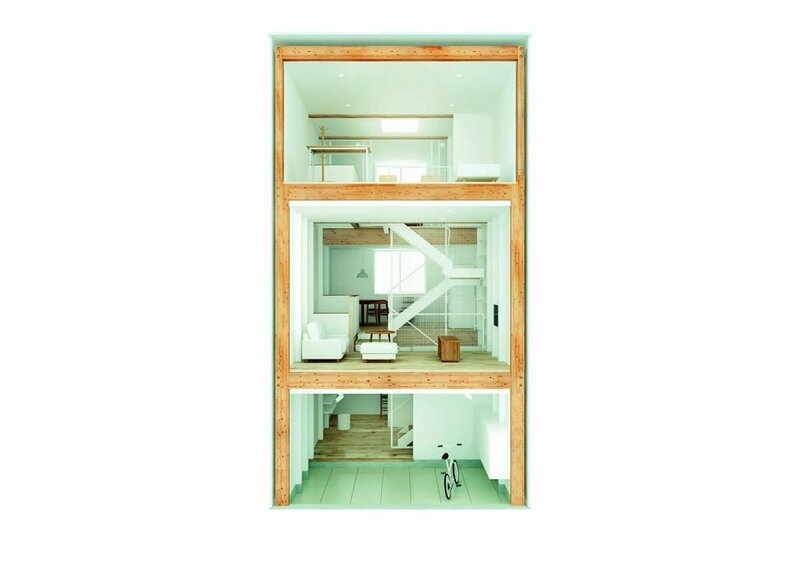 You may think a tiny, “one-room” house with no load bearing walls would be fragile. 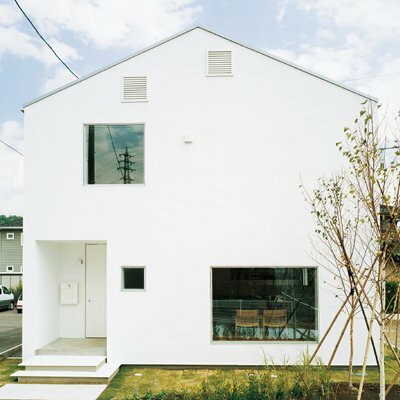 But the minimalist MUJI House is not minimalist in functionality. It invests in enhanced structure and efficiency to deliver comfortable living, maximizing the benefit from the outside/natural environment. Japanese architecture traditionally leveraged exposed pillars and beams, which bear the load and gave aesthetic order. But this style places an enormous burden on these elements to support the house. A traditional Japanese house supported by exposed pillars and beams. 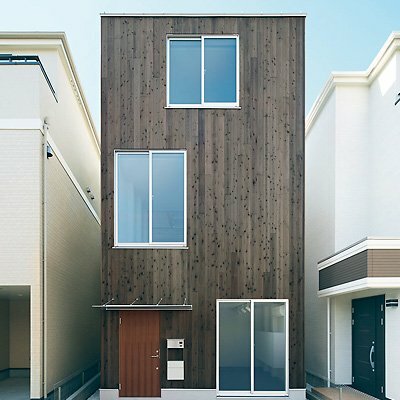 The MUJI House’s one-room style is realized by SE (safety and engineering) structure, which was developed to drastically enhance the strength of wooden frames used for homes. It employs glued laminated timber for pillars and beams to ensure consistent reliability, and connects them using uniquely engineered metal joints that minimize the alterations/damages to the timber both at the time of construction and during the use phase. SE structure used in MUJI House. 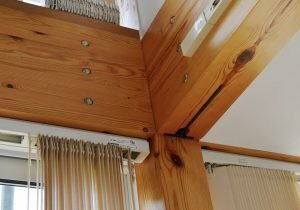 In a one-room house with no walls, insulation becomes critical to keep the indoor temperature uniform and comfortable, without wasting energy and creating outrageous energy bills. The MUJI House applies the double insulation system which consists of indoor insulation and exterior shields. Air leak is minimized by the insulation, but if there is any, it will be trapped by the exterior shields. In additions to the double insulation, the MUJI House uses triple-pane windows. 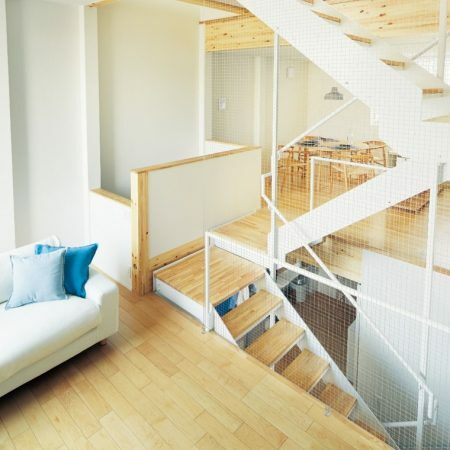 MUJI House is also conscious of the surrounding environment. 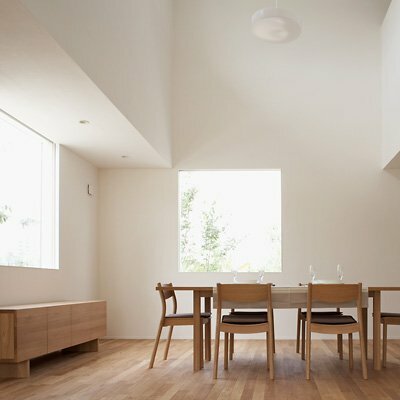 Based on the concept of a “passive house”, MUJI evaluates the geographical setting prior to design to determine the angle of the house, where to install windows, where to plant trees outside and so forth, in order to maximize the benefit from the sunlight (both lighting and warmth) and breeze. 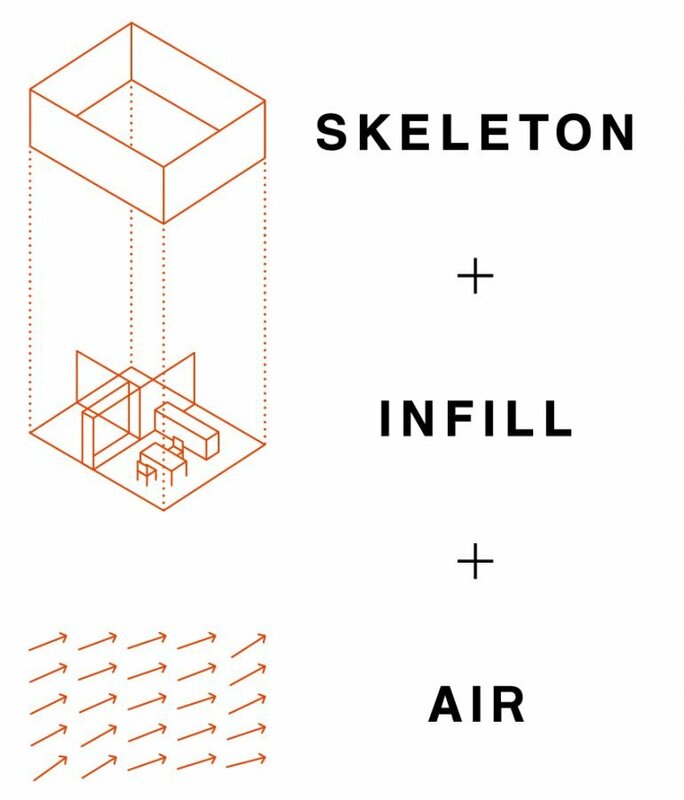 Core concept of MUJI house: Strong structure (skeleton) supports a highly edit-able empty box (infill) that is conscious of the surrounding environment (air). The “Wood House” is MUJI’s first model released in 2004. 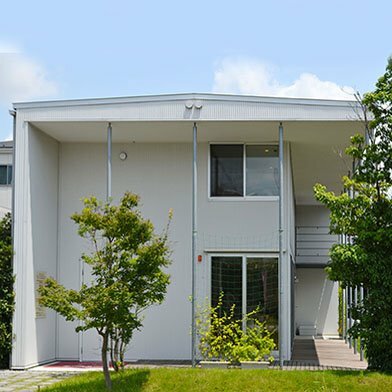 As mentioned, it is based on the Box House designed by architect Kazuhiko Namba and aspired to change people’s definition of an ideal house, which was perceived to be the total square footage and the number of the rooms whose purpose was irreversibly determined. 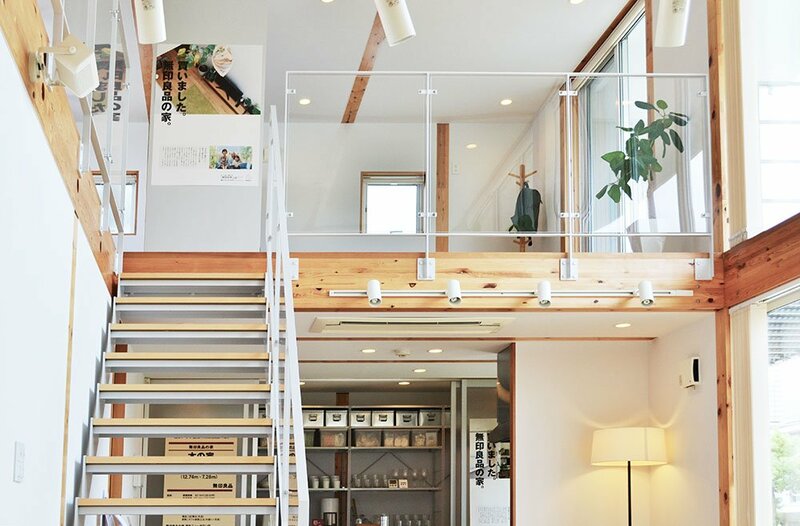 We visited the MUJI Wood House model home in Kanagawa, Japan. Read the detailed story. The “Wood House” was based on the “Box-House,” which sought to find the ultimate shape of modern, urban living by pursuing the minimalist boxy envelope. The second model, the “Window House,” was inspired by old cottages in the Cotswolds, in south central England in order to re-discover the fundamental design that had been supporting peoples’ collective living for centuries. 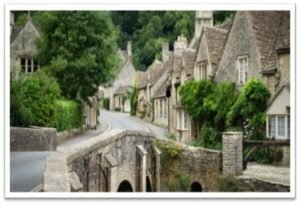 Located in a mineral-rich region, the Cotswold houses apply uniform design that leverages gray stone walls and sharp triangular roofs that beautifully dissolve into the environment. The “Window House” emphasizes a fundamental geometric shape which is highlighted by white, no-frills exterior walls and triangular roofs. 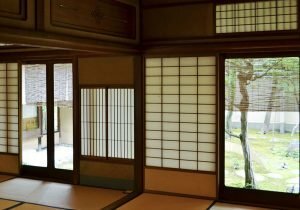 In doing so, MUJI made windows the central feature so that the house would be perfectly connected to, and embraced by the surroundings. Since windows are the gateways to connect inside and outside, it makes a big difference where they are placed and in what size. With the “Window House”, the owner can decide where to install them based on its relationship with outside. 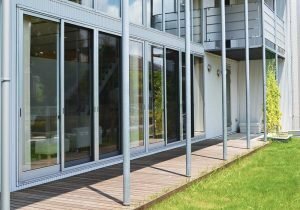 Also, windows are stripped of any excess frames so that nothing will disturb the outside view. Based on brand philosophy, it is not widely advertised that the “Window House” was developed by renowned architect, Kengo Kuma. The “Vertical House” was introduced to overcome ever-aggravating issues surrounding urban living environment: lack of space. This is especially serious in a large, population-dense city like Tokyo, where people have to inherit or buy very small piece of land often around or even less than 50 square meters. How can you live comfortably and creatively in 50 square meters? 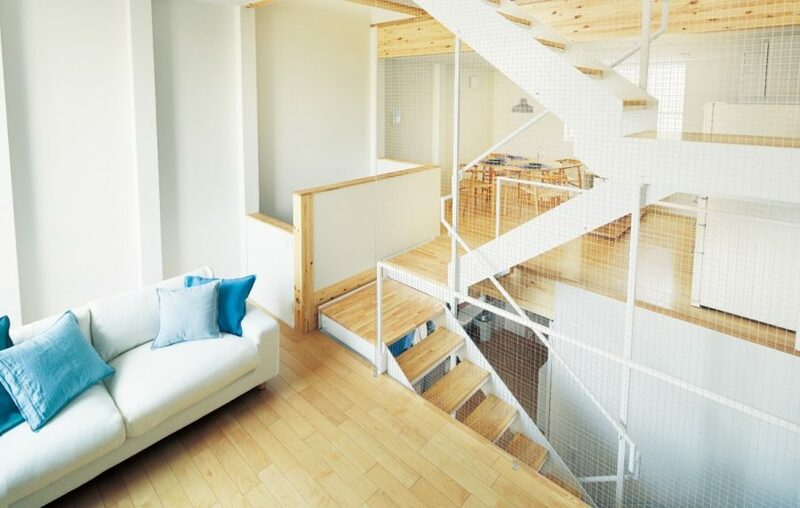 To answer this question, MUJI introduced the three-storied “Vertical House”. 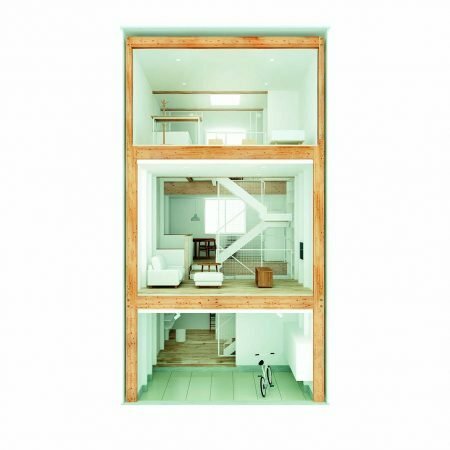 There are six “skip” floors in the Vertical House below a central open ceiling, in which are the windows that provide sunlight and air throughout the house. 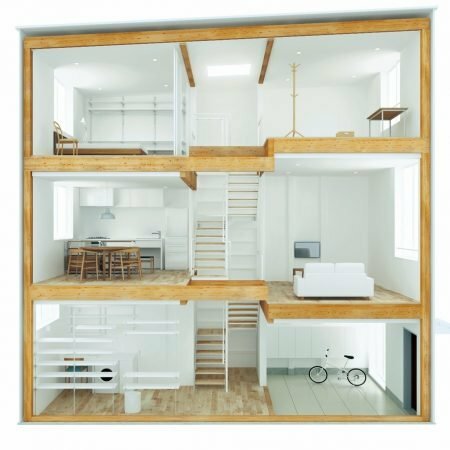 The MUJI House’s highly efficient insulation system plays a pivotal role to stratify the air within the narrow but high building in order to achieve uniform, comfortable indoor temperature. The six floors, that come in different heights, invigorate the otherwise limited space. Just like a LEGO house, you can have a six modules such as a kitchen, a living room or a bedroom in your living environment, and you are free to place them as you’d like.